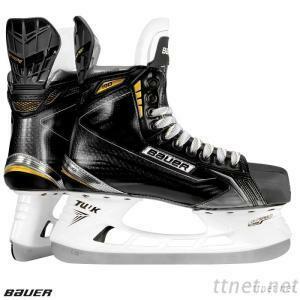 The Supreme 190 skate is designed for the elite level player looking for performance and durability. This skate comes with Lightspeed Edge holders which have revolutionized the skate holder industry with the ability to swap out blades with lightening quickness. This boot is thermoformable to get the best possible fit. Increasing fit also increases efficiency in skating resulting in more power, speed, and agility. The composite outsole keeps the skates stiff yet light for excellent energy transfer. It is also vented to help keep your feet cooler and drier during play. These are not your old 190's from the 90's!